…but Rose got there first! Thanks very much to the Hitty’s favourite photographer for making the little rose bush appear! So very beautifully narrated and photographed. Believe it or not, I have similar colored roses on our dining room table too at the moment…stunning colors, aren’t they? Always loving your posts………. 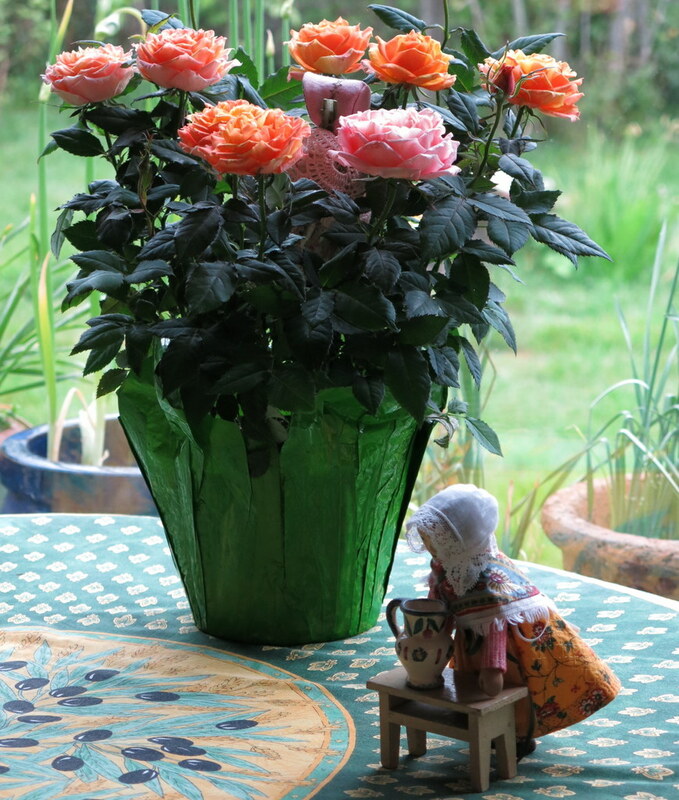 How delightful that we each have a sweet pot of roses on the table…and Hittys to admire them too! We are pretty fond of our favourite photographer too – and the roses are so pretty, smell great and entertain the Hittys as well! Well of course Rose would be in the middle of that gorgeous rosebush. The color of the blooms are beautiful. The petals are very slightly variegated – we love the subtlety of the colour shift…Rose thinks they must have been designed with her in mind! wow that is a very healthy looking mini rose plant! And of course dear Rose wants to make sure it stays that way!! ummm I meant Constance!!! But Rose would probably want to care for her namesake plant also! 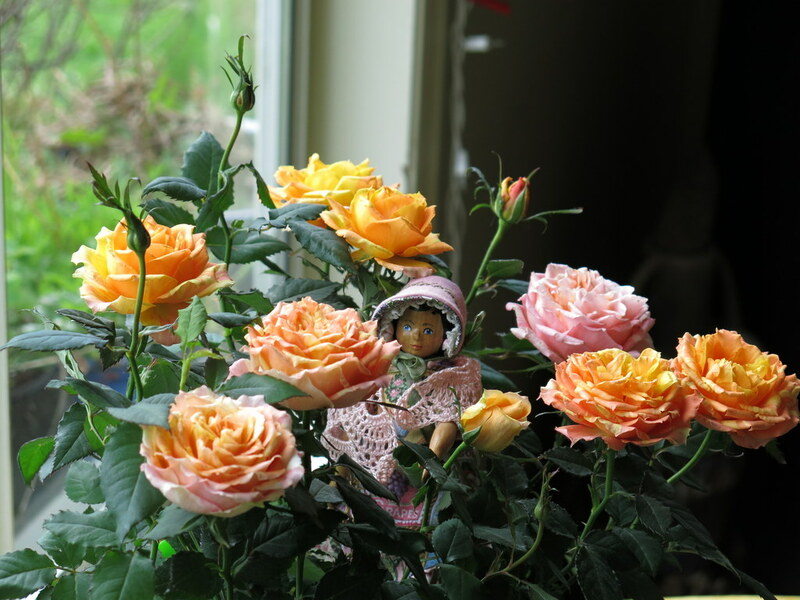 Rose is talking to the plant – she has heard that being friendly with plants makes them healthier…Constance is making sure of the practical part and thinks a Hitty-sized jug of water wouldn’t come amiss…both are no doubt correct! !